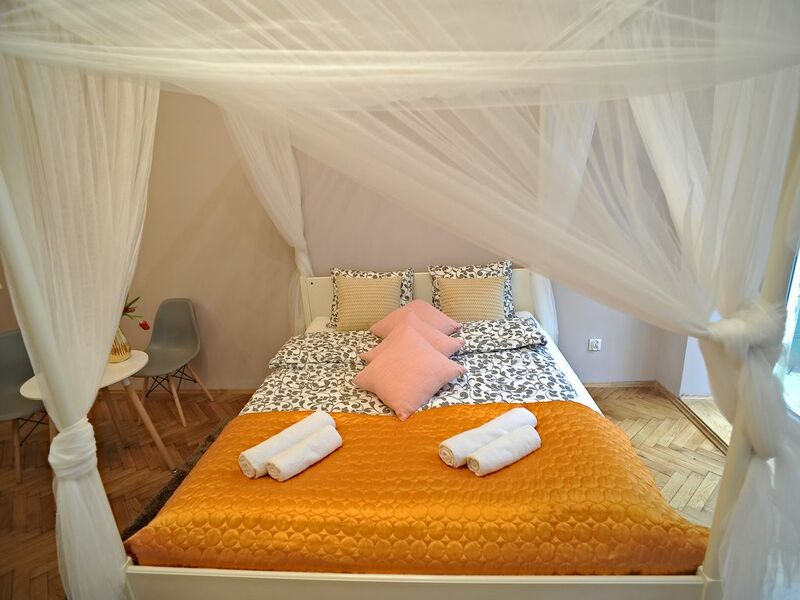 A spacious apartment located in the center of Krakow street Smoleńsk 35, a short walk from the old town. Ideal for excursion enthusiasts and city entertainment at night. It consists of a very large bedroom, a bathroom with toilet and a kitchenette. Furnished and fully equipped. Free wi-fi internet access (super fast up to 20 mega), HD TV. Located on the first floor in a historic building. The apartment is in a great location, around a 5-7 minute work from the main square. Adrian was great and answered all our questions prior to arrival, even arranged a private transfer from the airport for us! Check in was easy and the apartment was fab. Everything we needed. The only thing I would suggest for future guests is maybe take some ear plugs as our sleep was disturbed due to being near a main road, however this can’t be helped when you want a central location. Great location in a wonderful well equipped and maintained apt. Adrian is a wonderful host. Great location! Kind hosts! Wonderful bed! We loved out stay at this apartment! Just FYI, the circle on the map is not accurate to the address. It's actually on the South-West side of the square, but in a nice residential section that is VERY close to Wawel Castle and the Square. Massolit bakery and the English bookstore (which serves Massolit baked goods) around the corner shouldn't be missed! Our hosts were very hospitable and we felt very welcome and safe! La casa corrisponde alla descrizione, è graziosa, pulita e fornita dell‘essenziale. È situata vicino alla città vecchia e tutti i siti interessanti sono raggiungibili a piedi. Unica pecca: malgrado l‘appartamento si trovi in una tranquilla strada laterale, arriva il rumore del traffico del vicino stradone e bisogna dormire con le finestre chiuse. I proprietari/gestori sono molto gentili e disponibili.